BATON ROUGE, LA (WAFB) - East Baton Rouge Sheriff's deputies have arrested a man for robbing two men in the parking lot of an apartment complex who were dropping off a coworker. 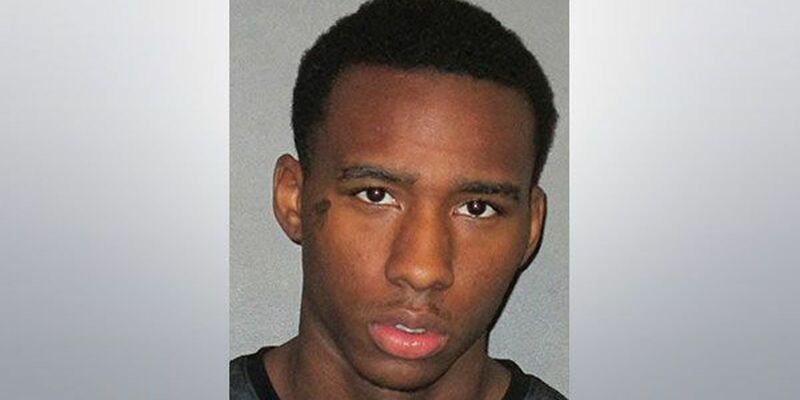 The suspect, Marlon Richard, 19, of Baton Rouge, has been charged with armed robbery. Authorities say it happened on Nov. 28 at about 2 a.m. The victims say they were leaving work when a colleague asked them to give him a ride to the Jefferson Lakes Apartments, 12400 Jefferson Highway, in Baton Rouge. After dropping off their coworker, the victims were getting back in their car when two suspects walked up to them armed with handguns and demanded money. The suspects took the victims' wallet, cell phone, car keys, iPod, and jewelry. One of the victim's believed he had seen one of the suspects at a Discount Zone Store. The victim looked at the surveillance video from the store and said he was sure it was the same person who robbed them at gunpoint. Richard was identified in a photo lineup.